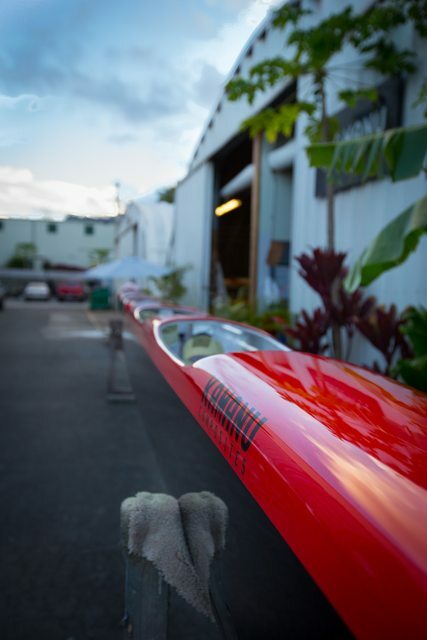 Nanahope was designed to be an all around performance canoe. It's great in flat water, upwind and downwind. It's well suited for medium to light crews due to a relatively long waterline. It has aluminum iako and through bolt rigging. We believe it's one of our best canoes to date and will remain competitive for years to come. It's for sale and can still be painted with a custom paint job. Price is $19,000. Email info@kamanucomposites.com if you're interested or would like to know more! Nanamua & Nanahope from Makana Denton on Vimeo.